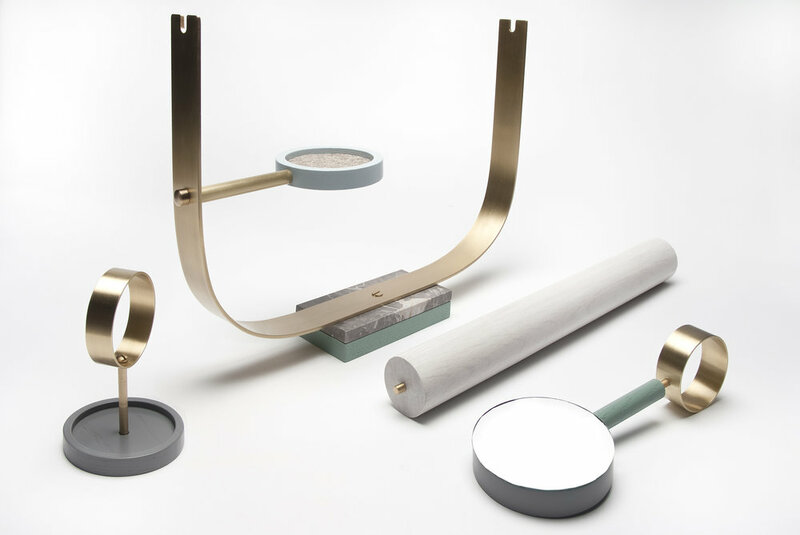 The Arbor Jewelry Stand is a colorful refuge for valued treasures. Its inspiration comes from bowerbirds, a unique bird species that collects and displays an array of brightly colored objects in and around its nest. Similarly, Arbor accommodates (and lets us flaunt) our collections of self-adorning pretty things. 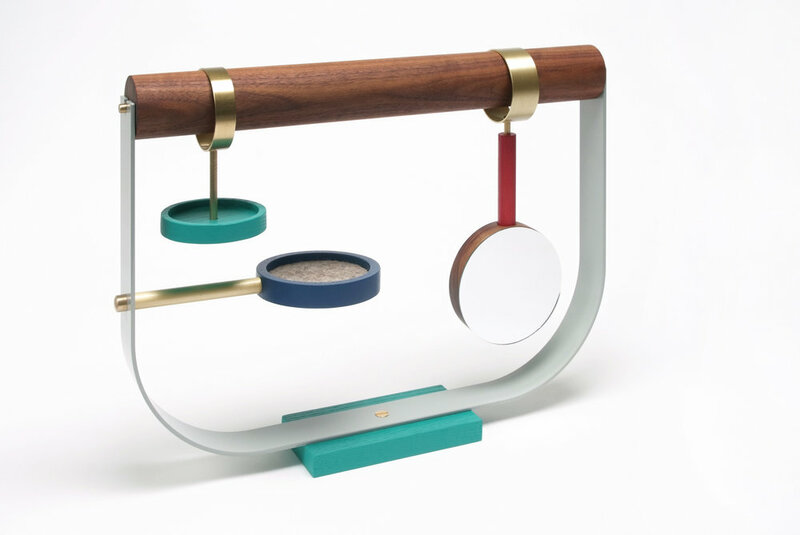 The sculptural perch incorporates an integrated and removable mirror, brushed brass details, and colored platforms that display special items while keeping them safe. 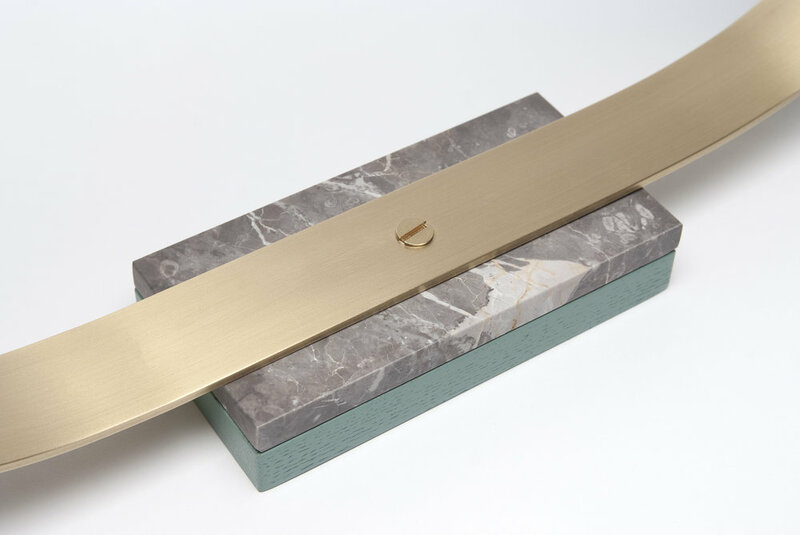 A detachable solid wood dowel acts as the main support for hanging necklaces, bracelets and other treasures.